Yet, in that, my Beauties bee. *A collection of Emblemes, Ancient and Moderne, Quickened with metricall illustrations, both Morall and divine: And Disposed into lotteries, that instruction, and good counsell, may bee furthered by an honest and pleasant recreation. 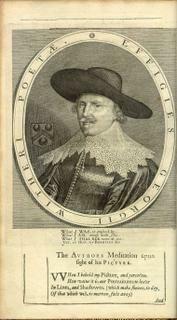 George Wither 1635 in 4 volumes. 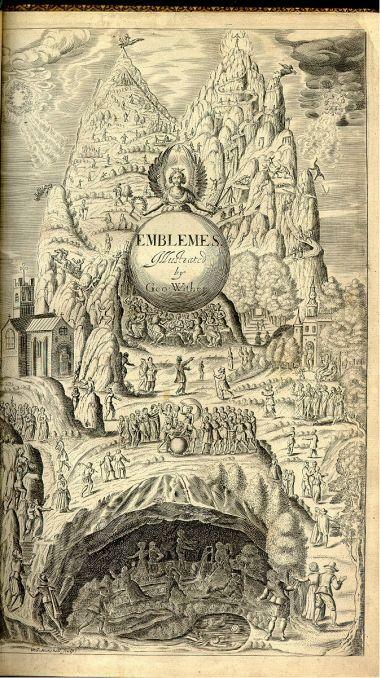 Emblem books were a popular form of moral publication in 15th and 16th century Europe. The idea was that you would meditate upon the pictures (typically woodcuts) with varying possible allegorical interpretations, and then read the adjacent text to fully understand the meaning. Thus, a sort of dual form of communication was used by the author to impart religious or secular ethics. The original emblem book, Emblematum liber was written by an Italian, Andrea Alciato in 1531, but this style of book was most popular in Belgium, Holland and Germany. George Wither, puritan, satirist and poet of modest renown, was imprisoned a number of times for his blunt libels against the reigning powers. He was ulimately employed by a publisher to contribute emblematic verse to extant book plates by Crispin van Passe, but emblem books never grew to be as popular in Britain. 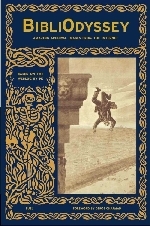 Pennsylvania State University have a number of scanned emblem books online as part of The English Emblem Book Project. There is some minor background commentary, but it's mostly about the research project. A website devoted to Alciato's Emblemata [damn! which I just found] with 2 great thumb pages of emblem plates. More emblem-related links at the Giornale: i; ii; iii; iv; v; vi; vii; viii; ix; x.
Oooh thanks...they are wonderful. I found Iconologica at Penn state and then found you had 'been there'. I'm thinking I must have misspelled emblem searching giornale later, when I found the Brit books site. Ah well. I need to be a bit more diligent with giornagoogling. 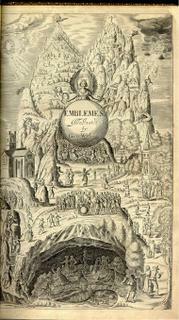 I love the de Bry illustrations particularly. They are superb. Bosch is right! I did find some other unexplored emblem scan sites later on - I've ferretted them away somewhere or other for a rainy day. I'll let you know if I stumble across them (yes, I need a setchaterry).